Microgaming’s European Roulette offers online casino enthusiasts all the thrills of playing European Roulette in addition to smooth and high-speed game play. 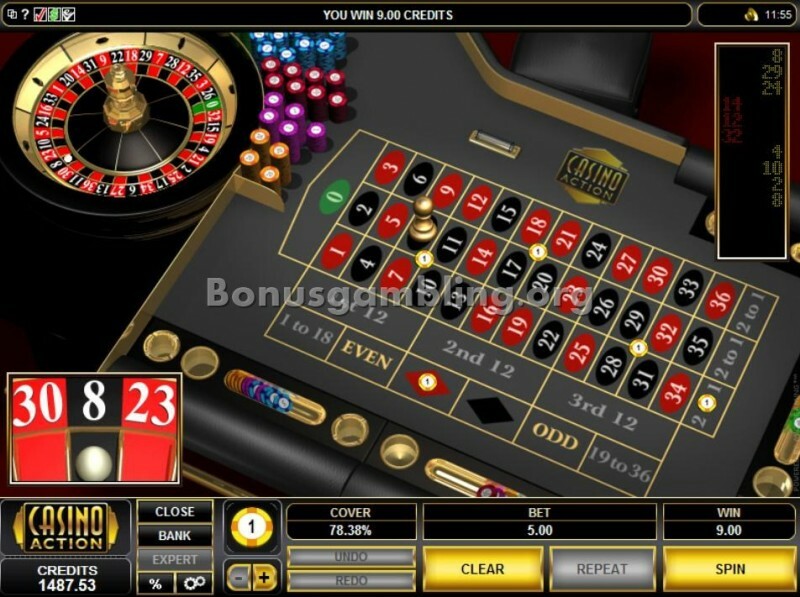 European Roulette comprises a table and a wheel bearing numbers 0 to 36. Fortunately, European Roulette has only one single zero unlike American Roulette, which has one single zero as well as two zeroes. Owing to this difference, players have a better chance of winning if they play European Roulette. In other words, the house edge is only 2.63 percent for European Roulette in comparison with the 5.62 percent house edge for American Roulette. The European Roulette wheel has 37 numbered and colored pockets, with red and black colored numbers ranging from 0 to 36. A croupier, dealer, or Roulette wheel operator spins the wheel and the ball in opposite directions. The European Roulette table comprises 37 black and red squares with each number placed in a square. Players are given betting chips of different colors and will have to place their bets on the betting table before the croupier calls out that no more bets can be made. European Roulette permits different types of bets such as the straight up, in which players bet on a single number; the split bet, in which players bet on two numbers; the street bet, in which players bet on any row of three numbers; square bet, in which the bet is placed on four numbers; and line bet, in which a bet is placed on six numbers. The other types of bets in European Roulette are the column bet or a bet on one of the three vertical columns, the dozen bet or a bet placed on 12 numbers, and even money bet or a bet placed on 18 numbers. European Roulette is a game of chance; but many advanced players say that strategies can be used to enhance one’s chances of winning. The best tip for a beginner is to play and keep playing because that is the only way to learn the secrets of European Roulette. Online casino enthusiasts can play Microgaming’s European Roulette at various Microgaming-powered casinos such as Zodiac Casino, Golden Tiger, Casino Classic, Virtual City, Aztec Riches, and Yukon Gold, to mention a few. 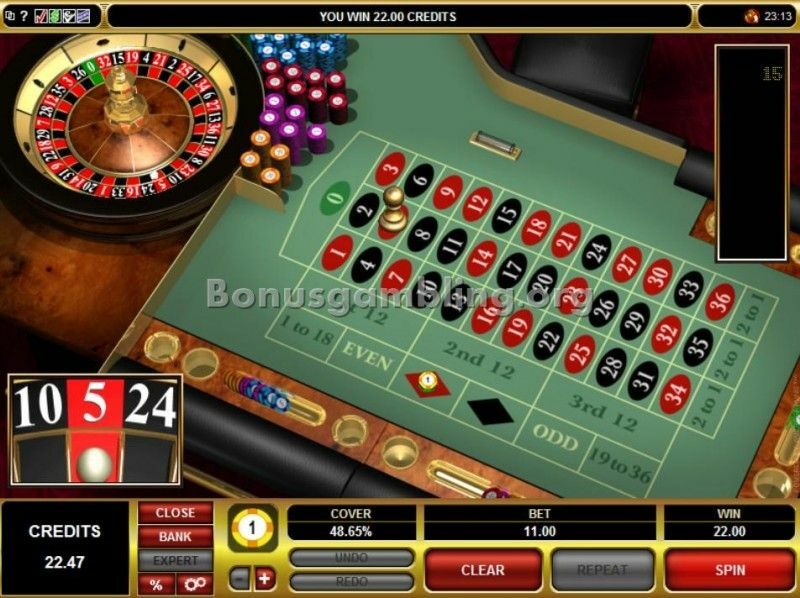 European Roulette can be played for fun as well as for real money; however, players can experience the thrills and excitement of European Roulette only if they wager real money on it.